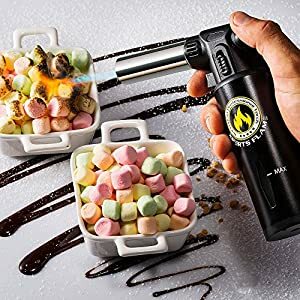 Have you ever watched a cooking show and saw the way the chefs used a gun-like kitchen gadget throwing flames at their dish or dessert like a superhero and wished you could have it as well? 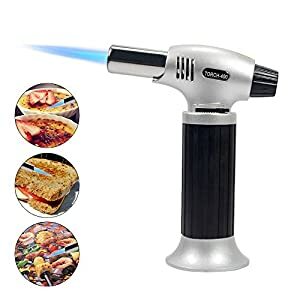 The awesome tool they were using is something called a kitchen torch. 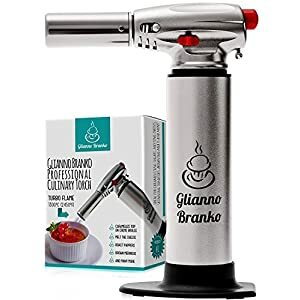 These can be used to bring out textures and flavors in the food you cook, through techniques that involve using the kitchen torch. 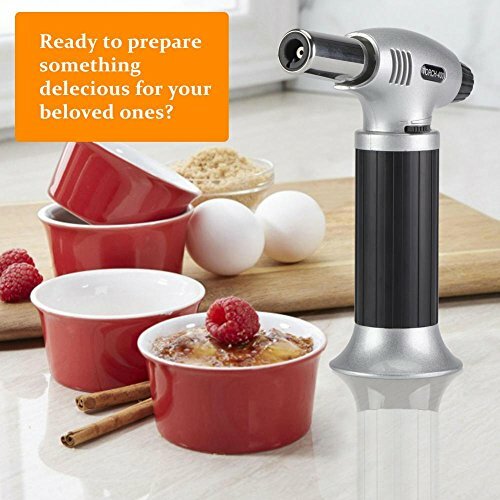 So if you are serious and passionate about cooking, or simply want to try out interesting cooking technique using the kitchen torch, it is a must-have in your kitchen gadget collection. 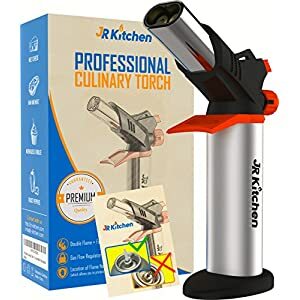 Besides cooking, we also want you to know that there are other things besides cooking or making desserts, which you can do with one of these torches in your hand. 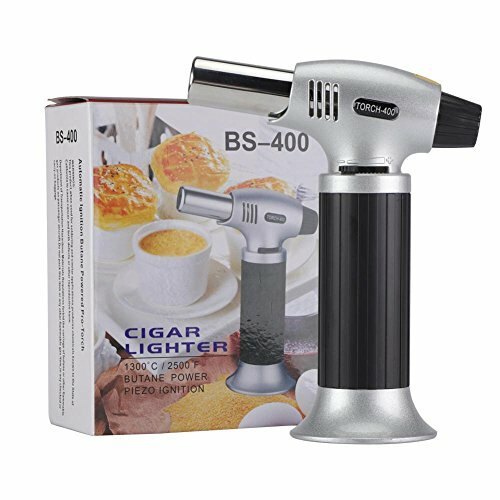 They can also be used to smolder zinc or silver plating on jewelry, to light a cigar, to craft exciting drinks at a cocktail bar or be used to melt acrylics on your next art project. 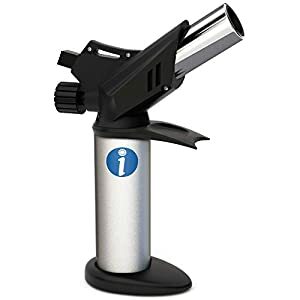 As you can see, a simple kitchen torch can open the door to a world of possibilities as long as you stay creative and let your imagination flow. 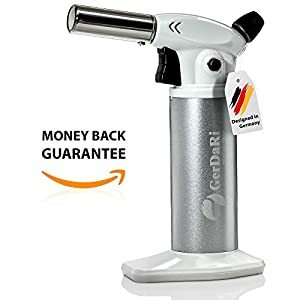 Don not let this offer die out! 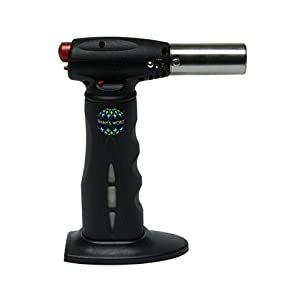 Add one to your cart today! 【Your Budget Pick, Don’t Hesitant to Pick Me Up】If you are looking for a kitchen torch that is reliable and efficient, with the condition that it does not cost a fortune, our cooking torch is a definitely good choice for you greatly enhancing your performance in cooking. 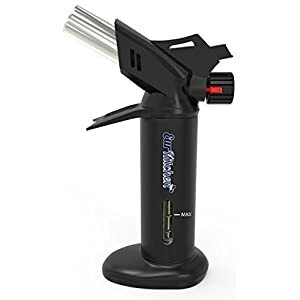 【Why You Ultimately Fall in Love With Yosoo’s Butane Torch ? 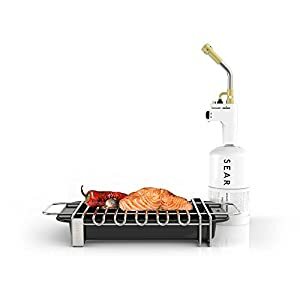 】What you will absolutely love about this product, is the location of the flame control on its body, conveniently positioned close to the hand so that you can change it while it is at work. 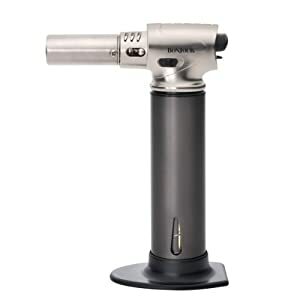 The torch have capacity to reach temperature of 2370°F for up to 60 minutes. 【Not Only Creme Brulee, Fun Uses For Our Cooking Torch】Not only are these kitchen torches essential for creating that delicate, gorgeous crust on top of your Crème Brulee, they can do other things like charring the exteriors of frozen steaks, crafting your Sous vide steak, smoking herbs to bring out their flavors, charring vegetables like peppers and tomatoes, crisping bacon for your breakfast, toasting marshmallows during camping. Hungry ,isn’t it? 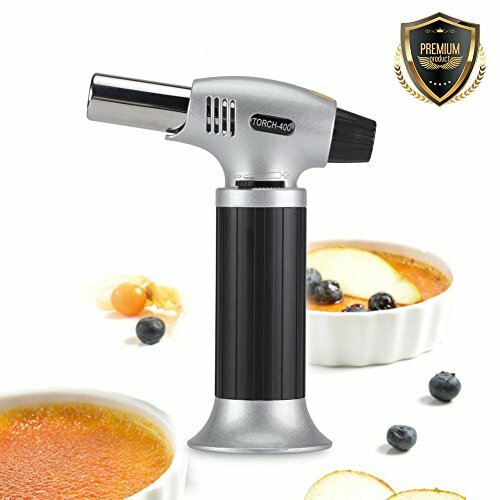 【Safety Is Priority & Extremely Easy to Use】Torch itself is made up of premium aluminum alloy which makes it a durable product and a sturdy fixed base of the torch has been designed to prevent tipping of the body, also with a locking mechanism we can assure you that cooking has never been that safe and easy before! 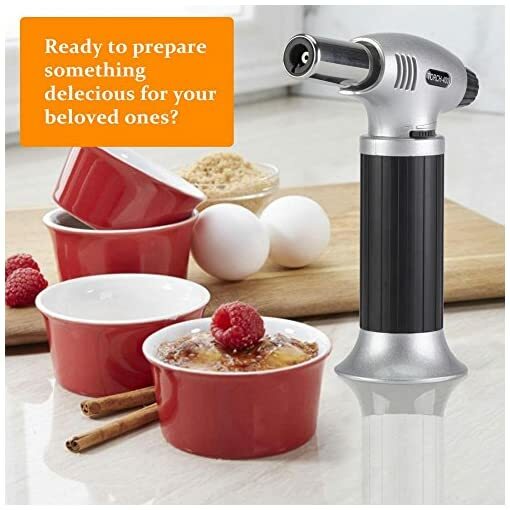 【Perfect Gift for Culinary Enthusiasts】Not only is this torch convenient, reliable, versatile and safe, it also makes an awesome gift for friends, family, co-workers or any loved ones leaving a lasting impression on anyone lucky enough to receive it as a gift!